What do we do all day?? 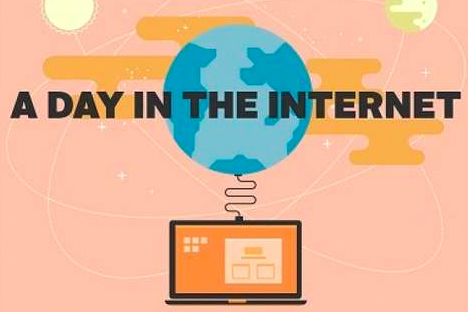 Interesting infographic which maps out what happens on the internet every 24 hours… one word – WOW! So a few stats which stood out to me… 294 billion e-mails are sent… 4.7 billion minutes are spent on Facebook… and more iPhones are sold than babies born — well at least there won’t be a shortage on that front then, phew!! Nice infographic here though, but does make me wonder – with the sun shinning outside, do we need to detach from more computers, tablets and smartphones, a bit more? ?